Great opportunity to live near the beach. Open House Saturday, January 10, 2015 from 2-5 PM at 801 Maxine Ave in Port Hueneme CA. Bring your friends and family. 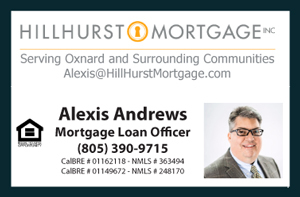 I will be having a mortgage representative available to answer any affordability concerns. Everyone is welcomed! Near 801 Maxine Ave Home for Sale is Port Hueneme Beach Park. The park is a family favorite. It is a great place to picnic by the beach or snack on delicious fish and chips from the Seafood Restaurant located within the park. Great weather is enjoyed year round. This is a very clean and safe community.